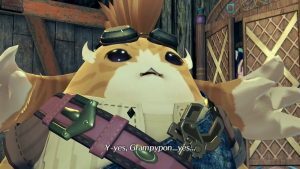 Were you expecting 60 fps? 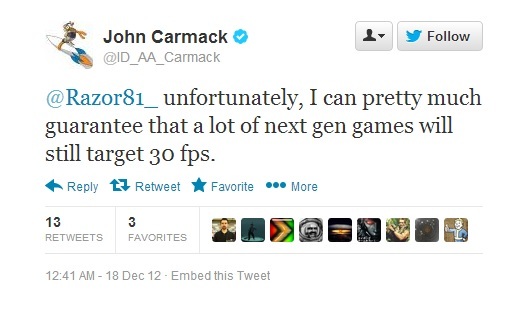 John Carmack has confirmed on Twitter that most games that will be released next-gen will run at 30 fps. 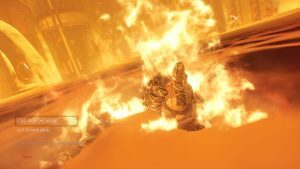 He indirectly says that developers will prioritize better graphics over 60 fps framerate. He had said the similar thing back in May this year, however, repeating it again only confirms that he is firm in his beliefs. 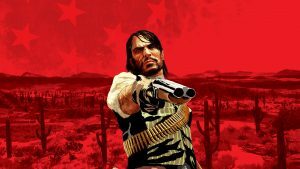 Now this is pretty disappointing because with next-gen you normally expect games to outperform the current gen ones by a decent magnitude, but if they can increase the resolution and provide better anti aliasing then the higher image quality will ensure that people will still feel a massive difference between this gen and the next. Racing games should be running at 60 fps though, since it’s a sacred rule among most game developers.